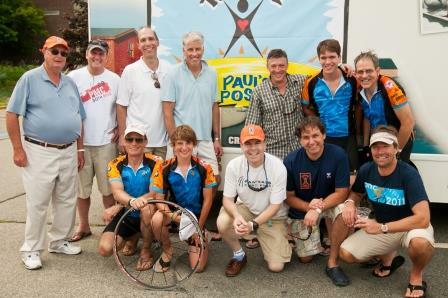 On August 5th, I will suit up for my 20th Pan Mass Challenge, and ride with Paul's Posse. I can't tell you how thrilled I am to type those words. I consider the Posse the most important work of my life, because it supports life-saving work. Through your generosity over the years, we've raised over $2.2 million to fight orphan cancers like mine. 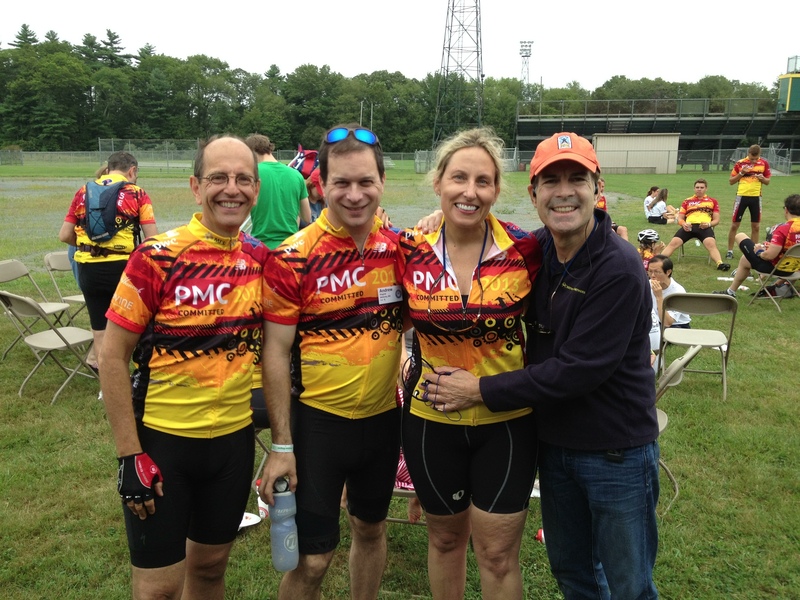 Fellow Posse member and friend Dr. George Demetri's research team at Dana-Farber receives 100% percent of the monies Paul's Posse collects. This year we are riding for fellow Posse member John Shanahan who recently passed away from a massive heart attack. He was a dear friend of over 20 years ago who I met on my 1st PMC. 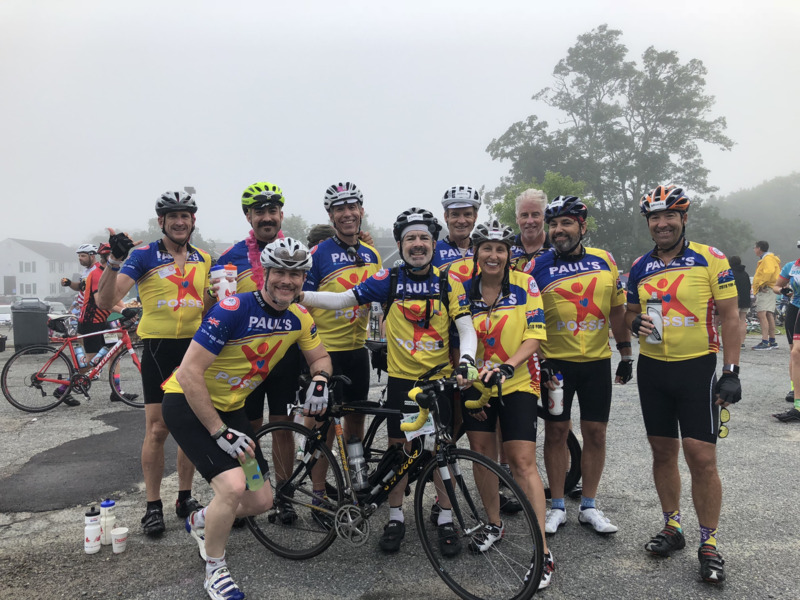 He was riding his bike in Sicily on June 9, 2018 on a trip to celebrate a 60th birthday of a fellow Posse member, when he suddenly experienced a life-ending heart attack on the road to Ragusa. Leading up to the event there was no warning. He was in his usual wonderful spirits right up to the end. He had enjoyed a late lunch in Modica where he was laughing and telling stories. John delighted in being on a bike with his friends. While he left us far too early at the age of 58, we take some consolation that; he was having the time of his life up to the very end. As I am sure you can understand...this year's PMC is a ride I have to finish for John. The hole in the Posse created by his absence serves as a reminder to hug our loved ones a little tighter, for every day is precious. In addition to your financial support, I'd like to ask one more favor. Please solicit a donation from just one other friend or family member. Just think of how much more we can accomplish in our effort to rid our lives of this horrible disease if we broaden our network of giving. Thank you for your support that allows me to keep working towards conquering this killer, but we can't give up.